Basu Paribaar certainly had a lot of potential in terms of its content and a powerhouse cast. But director Suman Ghosh does not give the audience a cathartic experience. In Suman Ghosh’s Basu Paribaar, alongside the ensemble cast, Kamalini palace has an important role to play. However, from the very beginning, there is a lack of intimacy between Kamalini and its habitants. 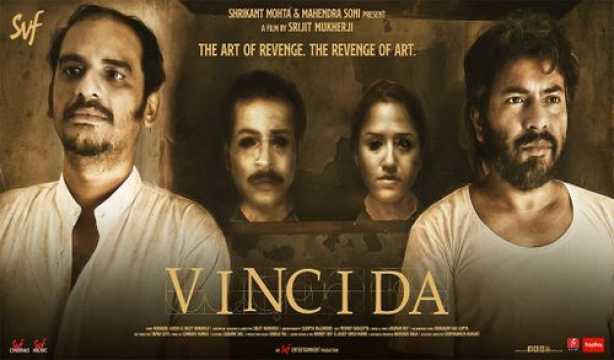 While the director has attempted to establish that connection by creating memories of the palace in every family member’s life, he fails to bring the relation alive because of a problematic cinematic composition and a screenplay that lacks drama. Ghosh had stated during the launch of the film's trailer that when he first read James Joyce’s The Dead, which has been adapted into Basu Paribaar, he wished the iconic filmmaker Rituparno Ghosh would turn the story into a film in the Bengali context. While watching the film, this reviewer, too, felt that such a delicate subject might have been adapted into a mature cinematic creation by the sensitive filmmaker, who is no more. Basu Paribaar lacks balance in creating proper cinematic visuals and dramatic sequences and in bringing out the most vulnerable emotions of the characters. Some moments appear to be brimming with drama while others contain hardly any potential to grip the audience. Pranabendu (Soumitra Chatterjee) and Manjari (Aparna Sen) invite their son, daughter and nephews to Kamalini palace to celebrate their 50th wedding anniversary. Not only the second-generation members but Manjari herself also gets nostalgic as she decorates the palace. Raja (Jisshu Sengupta) arrives with his wife Roshni (Sreenanda Shankar) and sister (Rituparna Sengupta) from the US and Mumbai, respectively. Tonu (Kaushik Sen) takes his wife (Sudipta Chakraborty) to his maternal uncle’s wedding anniversary. Tublu (Saswata Chatterjee) is hardly eager to attend the gathering organized by his paternal uncle; however, he gives in to the entreaties of his mother (Lily Chakravorty). The characters carry hints of grey shades in them from the beginning. While Tonu’s mannerisms and nonchalance towards his wife create some intrigue, Raja’s sister’s secret quarrels with her husband on the phone hint at the turmoil in her marital life. Roshni steps into the palace for the first time but is not happy to have the most royal suite with a child’s cot in it. However, it is the character of Tublu that keeps spinning mystery around the narrative from the beginning. The story gradually peels the layers of each of the characters as the occasion proceeds, revealing dark secrets from the past, involving both family members and the palace itself. The film could have celebrated the grey shades of the characters and the reality behind the façade of honour and pride of an erstwhile royal family but fails to make an impact owing to imprecise direction. The first half does not stand out in any sequence. 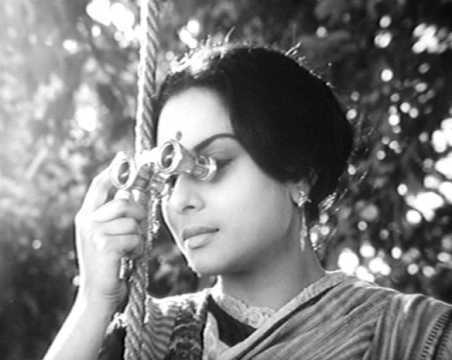 Soumik Haldar’s camera hardly manages to build a connection between Manjari and her treasured palace with long shots that do not capture her as an entity belonging to Kamalini. The scene divisions and continuities place the characters at different locations of the palace in different sequences to deliver certain dialogues. For most of the first half, the film appears more like a stage play in which various characters enter and exit after delivering their lines. The conversations that follow after Manjari and Pranabendu cut their cake have not been written with the intention of engaging the audience. The entire sequence again looks and feels like a staged talk show. The camerawork also hardly captures the emotions of all the members sitting together and being exposed to new revelations regarding Pranabendu and Manjari’s love story. Crucial moments leading to the climax also fail to build up dramatic intensity. 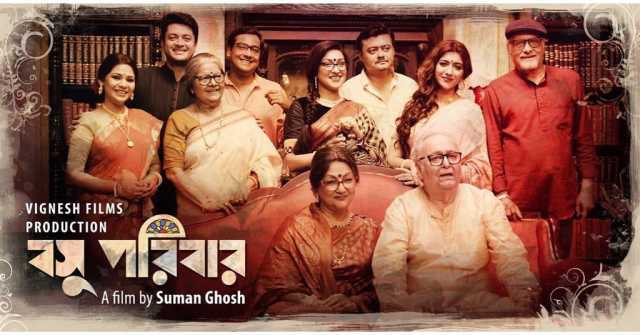 Barring the intimate conversation between Tonu and Rituparna’s character, all the other close interactions among the members, including between Manjari and her daughter, fall flat. While Tublu attempts to build some tension in the family, in the climax, Manjari hardly musters the storm of emotions that she is supposed to be going through after Pranabendu’s shocking revelations. The sudden transitions from sequences that almost give out the truths behind the secrets do not create the impression of twists. Instead, they appear incongruous. On the other hand, the ending sequence sounds rich with Pranabendu’s monologue but soon falls in terms of cinematic richness, with the extremely flat shot of Manjari standing in the balcony, facing the rain. The veteran Soumitra Chatterjee is way more theatrical than natural while he delivers his lines. Ghosh could have been more realistic while writing down his lines describing his lineage. Aparna Sen, too, fails to deliver the apt expressions for the most part, or maybe the director failed to brief her correctly about the moments. Rituparna Sengupta delivers her best in bringing out the continuous struggle in her marital life while Sudipta Chakraborty’s act as a simple and loving wife who looks up to her royal in-laws with fascinated eyes leaves a mark. Jisshu Sengupta’s performance is average while Sreenanda Shankar is quite natural in her brief moments. Kaushik Sen gets into the skin of his character and is quite subtle in his portrayal but it is sad to see that Bengali cinema is yet to go beyond stereotypes and appropriations in sketching certain characters. Saswata Chatterjee delivers undoubtedly the most dramatic performance and carries the drama, mystery and complexities of the narrative on his own shoulders. 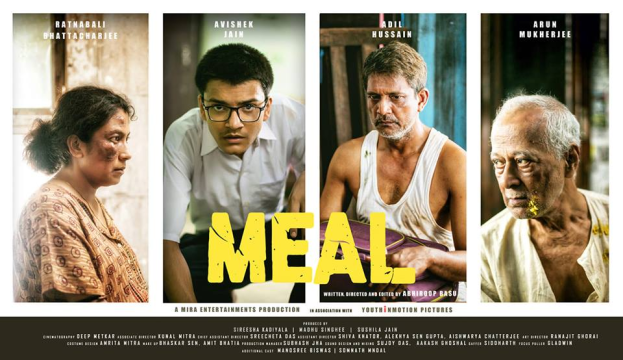 Subhasish Mukherjee, Paran Bandopadhyay and Arun Mukhopadhyay’s performances save some of the sequences that could so easily have been ignored. 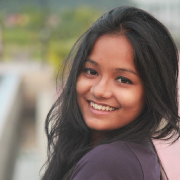 Lily Chakravorty feels her character with compassion more than anyone else. Cinematographer Haldar only deserves credit for curating the sequences featuring the dark corners behind the palace and the song 'Bhromor Koiyo Giya' rendered soulfully by Manomoy Ghosh. Bickram Ghosh’s background score doesn’t save the film from turning into an exhausting experience. Basu Paribaar certainly had a lot of potential in terms of its content and a powerhouse cast. The story begins with everyone looking up to the royal family in awe and ends with disillusionment for all of them. However, Ghosh fails to attach the cast and his screenplay with this downward journey, hardly allowing the audience to get disturbed or have a cathartic experience.